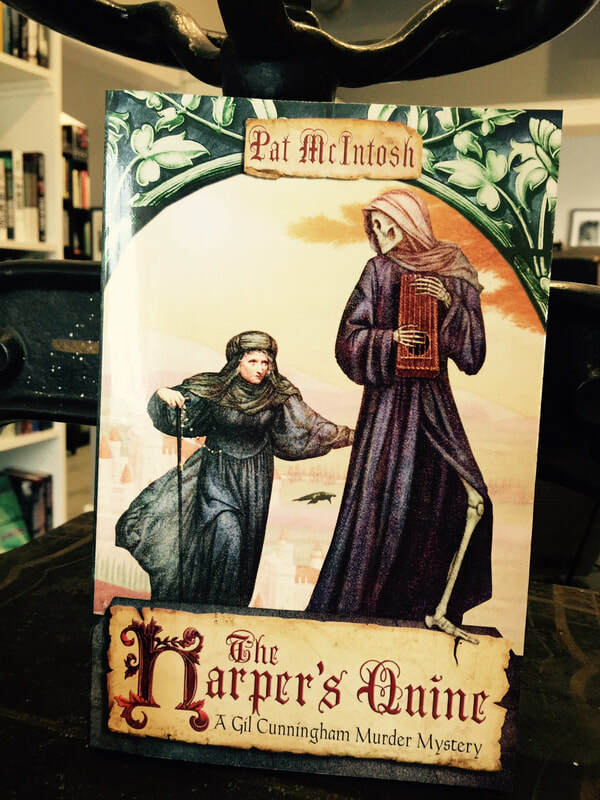 If you like mystery novels that require concentration and are resolved by means of discourse, logic and rational analysis rather than by slick forensic technology then the Gilbert Cunningham mystery series by Pat McIntosh is for you. The novels are set in 15th century Scotland and feature the lanky and engaging young Gil whose obligations are to a career in the Church but who is trained in law, has travelled abroad and feels constrained by his elders' expectations. The Harper's Quine segues seamlessly into the The Nicholas Feast with only a few days elapsing between the events of the first book and those of the second. What stands out about this series is the research that results in the reader becoming comfortably familiar with the food, drink, clothing, and social mores of the 15th century. Also we find ourselves as interested in what the future holds for the clever, compassionate, witty Gil Cunningham as we are in finding out who committed the crimes that he investigates. 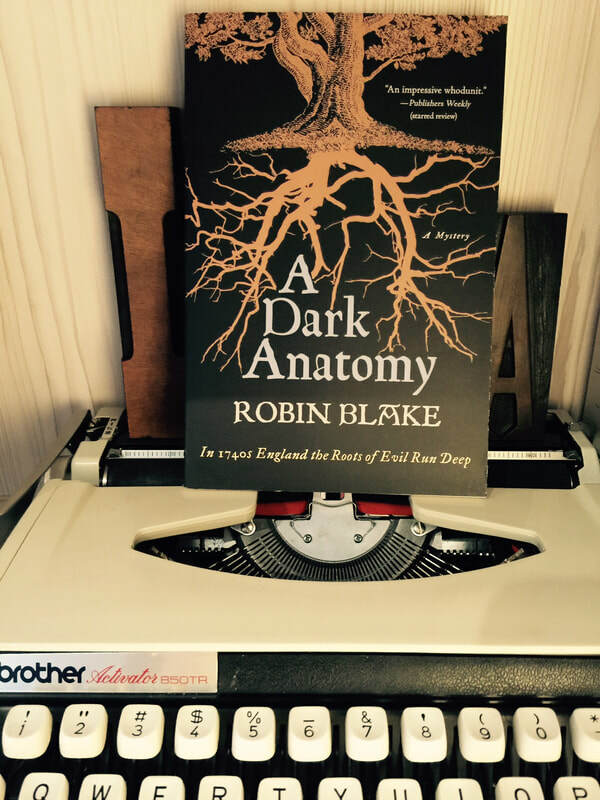 A Dark Anatomy by Robin Blake (Macmillan, 2011) is an exceptional and entertaining historical mystery. Titus Cragg, a lawyer/coroner in 1740's rural England, works with his friend Luke Fidelis, the local doctor, to solve the sudden death of the squire's wife; a most unusual woman. Blake presents a clearly drawn portrait of public and domestic life of the pre-industrial period, and of the challenges of surmounting superstition and ignorance with reason and science. Cragg is a genial narrator with whom one can imagine discussing philosophy and the finer points of 18th century law over beer and chops at the local public house. A Dark Anatomy is the first in a series of mysteries featuring Cragg and Fidelis. Sometimes you get a Mystery that's fun, and once in a long while you discover one that makes you think, "That would make a great movie!" 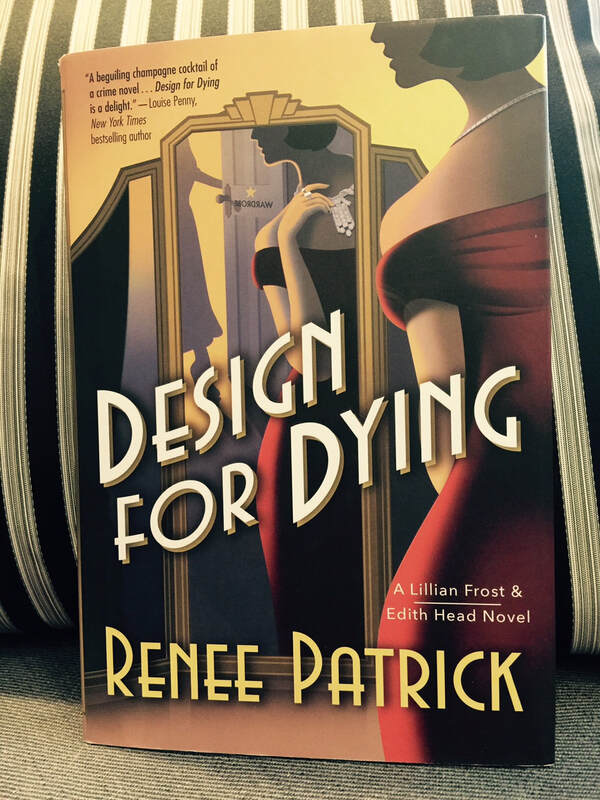 Presenting themselves as Renee Patrick, but written by the husband wife team of Rosemarie and Vince Keenan, Design For Dying is a cracking good read of the Golden Age of Hollywood. Quick paced, sassy with some great laugh-out-louds. For lovers of Film Noir, you will especially enjoy this book. You will rub elbows with the likes of Bob Hope, Martha Raye and Barbara Stanwyck. A main character, Edith Head, one of Hollywood's real life celebrated costume designers, carries off her role with panache! A not-too-grim, great fun, bedtime read.